In my quest for the perfect shortbread I discovered the gold standard seems to be a 3-2-1 formula for quantities of flour-butter-sugar and Claire Clark’s family recipe is held highly as one of the best so in honour of my annual trip to Edinburgh for the Fringe Festival I thought I would bake up the most Scottish thing I could think of. While this was lovely vanilla-y shortbread I have to say I prefer mine buttery with a hint of salt so probably wouldn’t add the vanilla seeds again but take your pick between vanilla or salt. Preheat the oven to 180c or gas mark 5 and line a baking sheet with baking parchment. Sift the flour into the bowl of a stand mixer and add the sugar and vanilla seeds or salt. Chop the butter roughly over the dry ingredients and then set the mixer on low with the k beater until a dough forms. Transfer the dough to a floured surface and gently roll out until approximately 1cm thick and cut into 15 fingers. Move the fingers carefully to the lined baking sheet leaving some space between each biscuit as they will spread slightly and cook for 15 minutes. 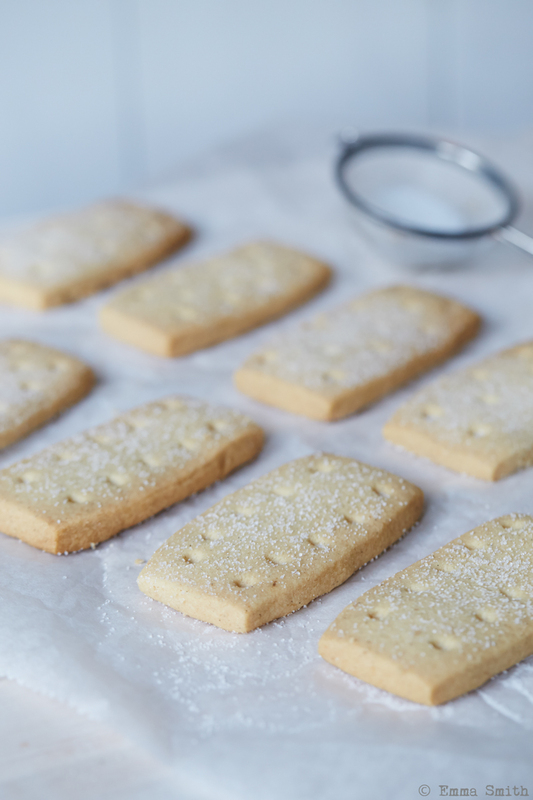 Turn the tray around and cook for a further 10 minutes until the shortbread are a pale golden colour then remove from the oven and lightly dust with granulated sugar before leaving to cool on the tray.